Non-Toxic Munchkin: CLEANING 101: The Best Thing You Can Do For Your Family , Just Got Easier! So you want to live a healthier, less toxic life... but where to start? If you can only make ONE change, I always recommend getting rid of your household cleaning products. Just throw them out (OK, if you want to be more eco conscious maybe finish using them and never buy them again!). and switch to natural do-it-yourself ones (here are some Recipes For Green Laundry) or start buying nontoxic cleaners. Hands down. The best thing you can do for your family and your own health. Why? Because the air inside our house is more toxic than the air we are breathing outside... and the main culprits are the mainstream “pine fresh” or “lemon fresh” cleaners most people are using to clean their homes. Ironic how what you think is cleaning your home could be making it toxic. HOW? It seems easy enough. You can find 'green' and 'natural' and 'non-toxic' cleaners just about everywhere now a days. But, the sad reality is that, even the most well know ‘safe’ brands aren’t always as non- toxic as they claim. Personally, I clean almost all of my house with a 50% white vinegar 50% water mixture. Vinegar is cheap, the classic (and safe - we use it on our salads!) disinfectant. However, I do admit, there are certain areas of the house (ie: bathroom) where I feel I need something stronger, and so I turn to “official” cleaning products. I do my research before, OF COURSE. I read labels and sometimes I rely on trusted companies .... but I don't have access to a lab and the truth is that the companies that make these cleaning products don’t have to list all of their ingredients on their labels. Even if you want to choose a safe non-toxic cleaner, sometimes you have no way of knowing what you are really bringing home. FINALLY there is help. The Environmental Working Group recently launched their 2012 Guide to Healthy Cleaning. In it, over 2,000 cleaning products have been tested and given a grade from A - F.
The database is super easy to use. 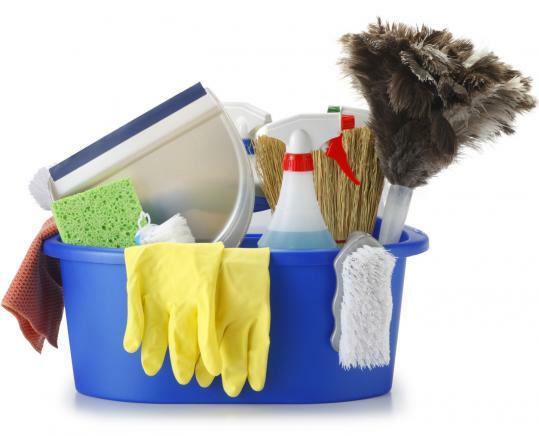 You can search under category (floor cleaners, hand soaps, window cleaners etc) or input a specific brand or product you might have at home or have seen in a store. Disinfectant products: none received higher than a ‘D’(including products from Lysol, Pine- sol and Clorox). Dusting products: none received higher than a ‘C’ (includes Pledge multi surface dusters, dry scented cloths, Pledge dust and allergen dry cloths, and Swifter Dusters). Martha Stewart Clean products tested all got A scores. I have not tried them but will be looking for them next! The Honest Company (recently launched by Jessica Alba) got mixed reviews... their products scored everything from A's to F’s. Seventh Generation also received mixed reviews. The products I use mostly scored A's ( including their Emerald Cypress and Fir toilet bowl cleaner ad natural tub cleaner, automatic dishwasher powder in free and clear ) but their lemon automatic dishwashing gel scored an F as did their Natural 2X concentrated laundry detergent! WHICH ARE THE BEST PRODUCTS OUT THERE? I’m sharing this! People can use these options to explore the cleaning products they need with far more intelligence. Prior to beginning the washing process there are a few steps that will make cleaning more effective. Clean the driveway, removing loose dirt, toys and debris that in on or near your driveway. When your driveway has been swept, use a commercial stain remover made for asphalt, cement, or concrete on heavy spots. The remover should be left on the spot overnight to completely remove the stain. I think I need to go and do this. Thanks for sharing. It seems so easy and I had not considered that baking soda would be useful for odor elimination. With 6 boys in the house, this will be a useful tip to know. Wow, Amazing tips, spring is coming soon and I am looking to clean my home and also finding new ways to clean, I am glad that I found your blog, awesome informative post, thanks.